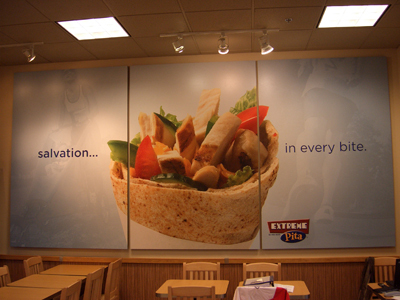 A wall graphic or sign can draw attention to an important message or advertisement while taking up minimal space. 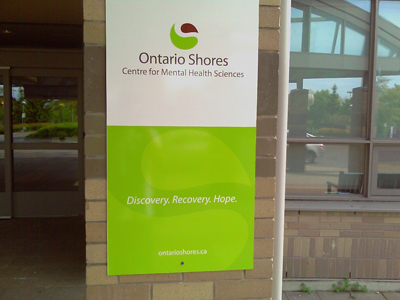 We can provide graphics and signs ranging from one colour, to multiple colours or even full text and images. 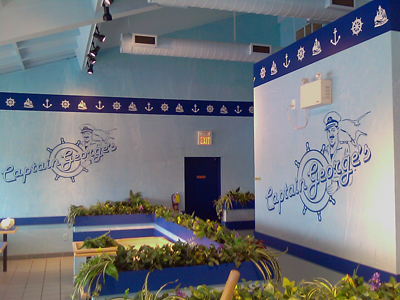 We will gladly provide custom printed wallpaper as well as installation service to ensure flawless application. Click on the wall graphic images below to enlarge them. You can also view some of our sign work on our sign portfolio page.